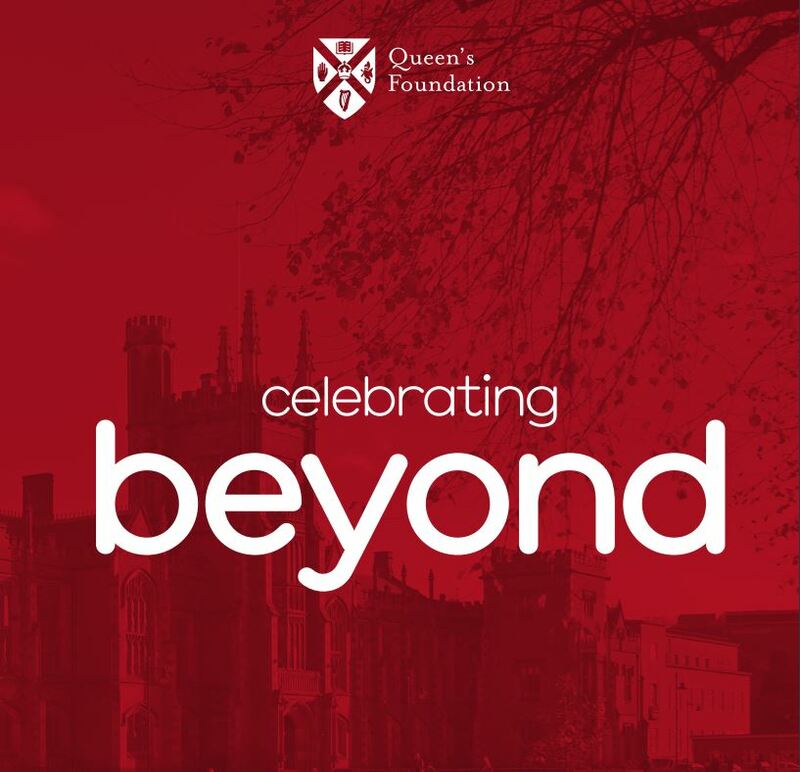 To mark the successful conclusion of the University’s seven-year £140m fundraising campaign, the Queen’s Foundation has published Celebrating Beyond, which outlines the widespread impact of the Beyond Campaign. The Campaign, which reached its £140m target one year ahead of schedule, was celebrated at the annual ‘Thank You’ Day on 11 June, organised by the Development and Alumni Relations Office. Over 130 donors, living legators and friends of the University gathered for lunch in the Great Hall at Queen’s where they heard from the Vice-Chancellor, Professor Patrick G Johnston and Mr Tom Lynch, Chairman of the Foundation. Celebrating Beyond reflects on the impact of philanthropy over the duration of the Campaign, concentrating on the difference that individual, corporate and philanthropic gifts have made to student life, the physical campus, society and graduate employability. In all, more than 37,000 gifts were received from over 5,000 donors, living in 36 countries around the world. The Campaign included the University's largest ever philanthropic gift - £15m - from The Atlantic Philanthropies, towards the creation of the Centre for Experimental Medicine. The Campaign also measured, for the first time, the impact of volunteers on the life of the University. 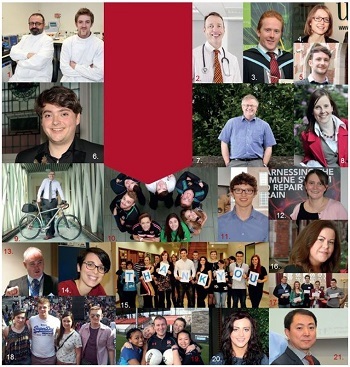 An estimated 1,500 graduates and friends of Queen's gave their time and talents to support the University, a figure valued at £0.75m. Professor Manuel Salto Tellez with PhD student Matthew Alderdice, who was awarded the Sean Crummey Scholarship in October 2013. Funding from the Crummey family has allowed Matthew to continue his research into colorectal cancer at the Centre for Cancer Research and Cell Biology (CCRCB) at Queen’s. Donor support enabled Professor Richard Wilson, Director of the NI Cancer Trials Centre (part of CCRCB) and his team to carry out cancer trials which give patients access to new treatments before they are widely available. Christopher O’Hara was a recipient of the Max Rainey Prize for the best research project within the theme of ‘Polymers’, in mechanical, aerospace and product design engineering. PhD student Desiree Schliemann from the Centre for Public Health carried out research into the effect of workplace interventions to increase fruit and vegetable intake thanks to support from Ulster Carpets and funding from the John Wilson Memorial Trust. A scholarship funded by graduate Patrick Magee meant that Jonathan Carmichael could spend a semester in the USA on a student exchange programme. Winner of the Flax Trust ‘Children of Lir’ Award, William Curran is using his bursary to undertake a two-year Master’s in Music at the Royal Northern College of Music. Philanthropic support for research undertaken by Professor Stuart Elborn and his team has had a major impact on those suffering with cystic fibrosis. Dr Denise Fitzgerald heads the Neuroimmunology research group at Queen’s, focusing on research into Multiple Sclerosis. Her work has been supported by philanthropic donations including a number from the Antrim Borough MS Support group. An Ulverscroft Foundation gift of over £800,000 is funding vital eye disease research lead by Professor Nathan Congdon. The University, with the backing of Queen’s Annual Fund, invested £50k in the Elite Athlete Programme, designed to help Northern Ireland’s most promising sporting stars compete at the highest level. Stephen Irwin was among those to receive scholarship support from Caterpillar enabling him to continue his engineering studies. The James Fellow in Clinical Trials in the Centre for Experimental Medicine, Dr Charlotte Addy, supported by Dr Richard James and his sister Suzanne Martin, will enable Dr Addy to carry out original research in respiratory diseases. Dr Gerry Hanna received a philanthropic gift to enable him and his team to research treatments for those with lung cancer. A three-year PhD studentship funded by his family in memory of three-time graduate Joseph Magill was awarded to Federica Pessagno from Genoa, to undertake research in Chemistry and Chemical Engineering. Students and investigators working in CCRCB offer their thanks to all who have supported vital work in cancer research during the time of the Campaign. A legacy gift enabled Amy McSparron, to continue her research in food science. Some of the many MacQuitty scholars who, thanks to generosity of the MacQuitty Family, travelled internationally in pursuit of their studies. Four of the Queen’s City Scholars on placement in New York; bursaries and placements are provided by members of the City Leadership Programme in London, New York, Dublin and around the world. Queen’s Annual Fund supported the participation of a Queen’s international ladies team in the Asian Games in 2015 in Shanghai, some of whom are pictured with James McCartan (double All-Ireland winner and Queen's graduate). The inaugural Institute of Chartered Accountants in England and Wales (ICAEW) Foundation Bursary allowed Chloe Maye to further her studies in finance and accounting. Dr Wenping Cao, was the recipient of the Faudell Harvey Gould legacy gift. A specially commissioned video celebrating the Beyond Campaign can be viewed here. If you would like to find out more about supporting research and scholarships at Queen’s, please visit the Development and Alumni Relations Office website or contact Susan Wilson (legacies), Helen Surgenor (medical fundraising), Ian Moore (Queen’s Annual Fund) or Naomi King (major gifts). To request a copy of the Celebrating Beyond brochure, contact Jacqui McCormick (Stewardship Officer).